The Messaging function allows an administrator to send a short text message to all connected users and optionally force users to log-out. 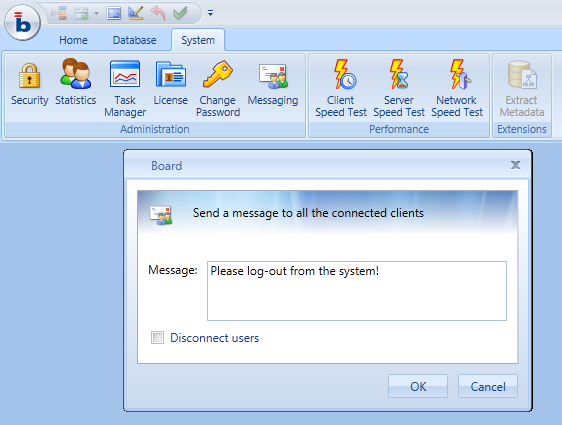 To send a text message to connected users, go to the System tab of the ribbon bar and click on the Messaging icon. To force users to log-out, tick the Disconnect users option.